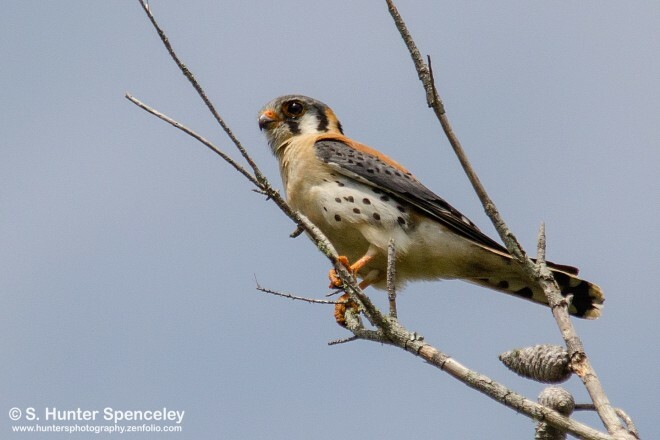 American Kestrel is our smallest falcon, and, unlike other falcons, it often hovers when searching for prey. You can see it year-round in open country and cities from coast to coast. We combed through our photo galleries to find the pictures below, which show what to look for to tell males from females. The male American Kestrel is a boldly marked, colorful falcon. Two vertical black stripes frame its white face, and a thick black subterminal bar marks the end of its russet tail. In between, blue-gray wing coverts separate a rufous-brown back and dark primary feathers. Photographer mayhaga took this picture last year near Saskatoon, Saskatchewan. 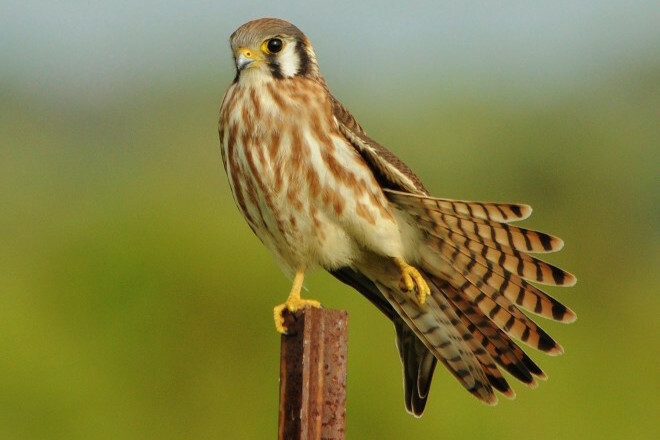 Black stripes frame the face of female kestrels, too, but their wings lack the male’s blue-gray color. Their wing coverts are rufous-brown and finely barred, like the back. The tail, visible in this picture beneath the dark wing tips, is barred as well. Tony Joyce photographed this falcon in April 2015 in British Columbia. 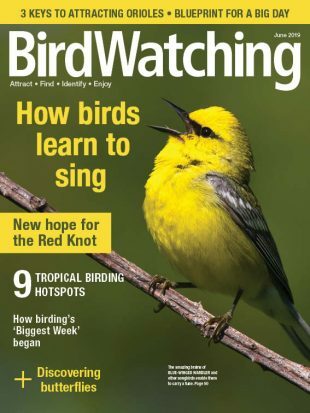 Read about birding hotspots in British Columbia. This photo, taken by hunter58 in Spring Hill, Florida, shows the male kestrel’s buffy chest and its white belly and undertail coverts, and how small dark dots are scattered across its belly and flanks. 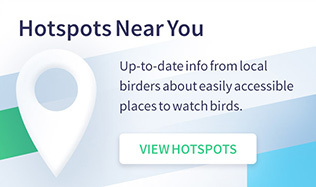 Read about birding hotspots in Florida. Blurry rufous-brown streaks, not dark dots, line the underside of female American Kestrels. This bird was stretching, allowing us to see not only the many thin dark bars on its tail feathers but also how the bar closest to the tip is wider than the others. 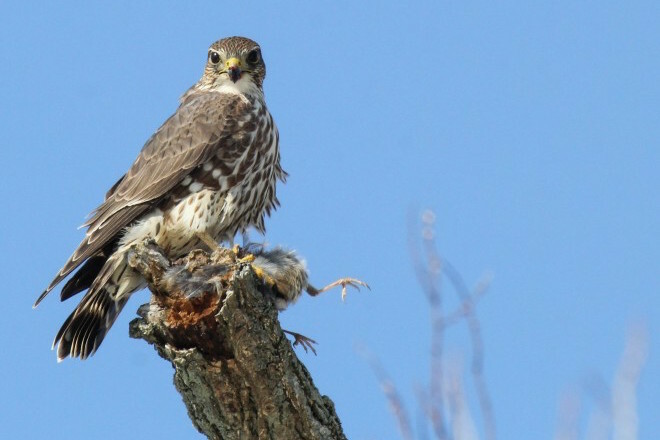 geopix spotted the falcon at the Moccasin Island Tract, near Viera Wetlands in Florida. 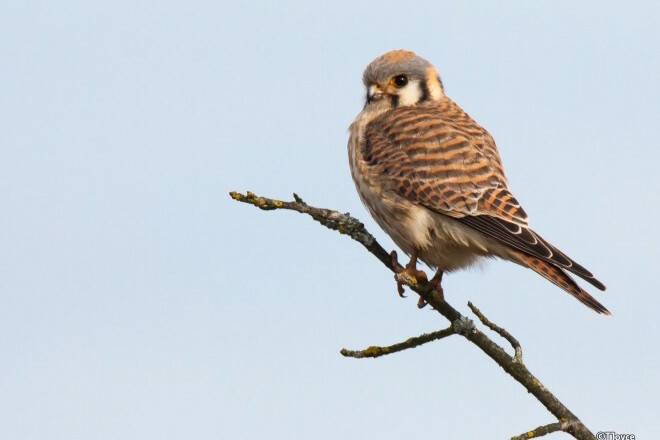 The shape and size of this falcon may make you look twice — it’s only an inch or two bigger than American Kestrel — but the lack of rufous-brown or blue-gray feathers will tell you it’s no kestrel. It’s a Merlin. 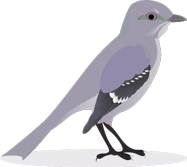 Its back and wings are entirely gray-brown, and its tail is dark, too, with narrow white bands. Lenny Beck took the photo along the Miami Whitewater River in Hamilton County, Ohio, in February 2015. 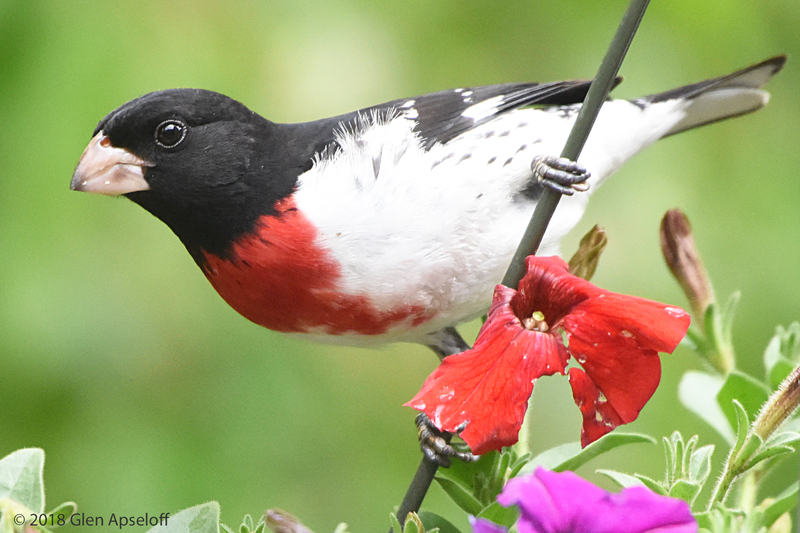 Read about birding hotspots in Ohio. 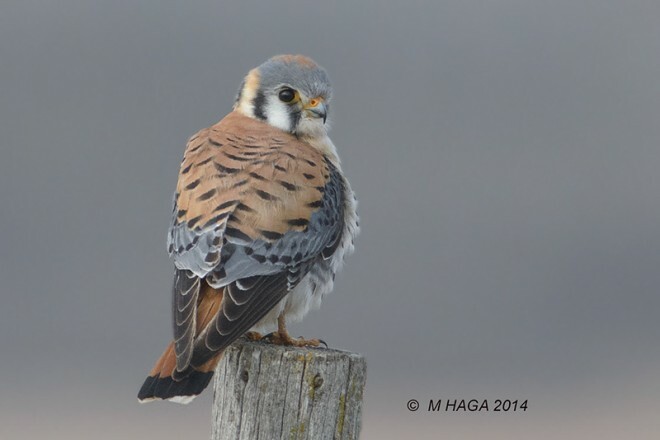 See more photos of American Kestrel. 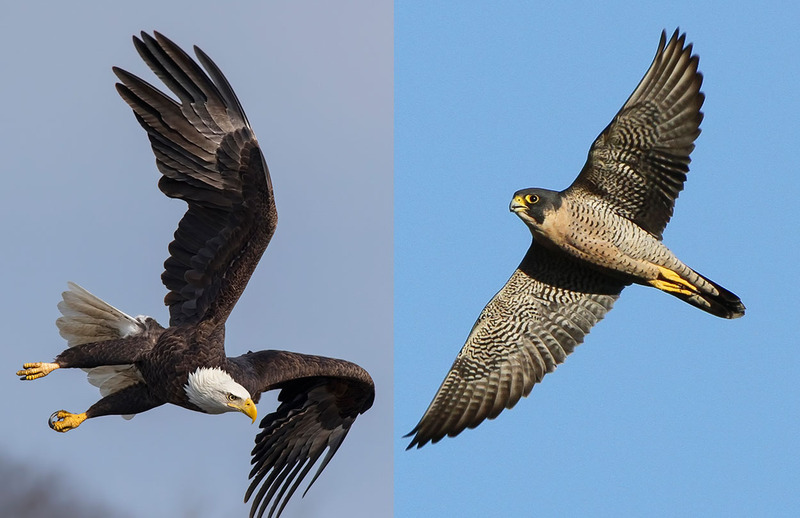 Have you taken photos of American Kestrel or Merlin? 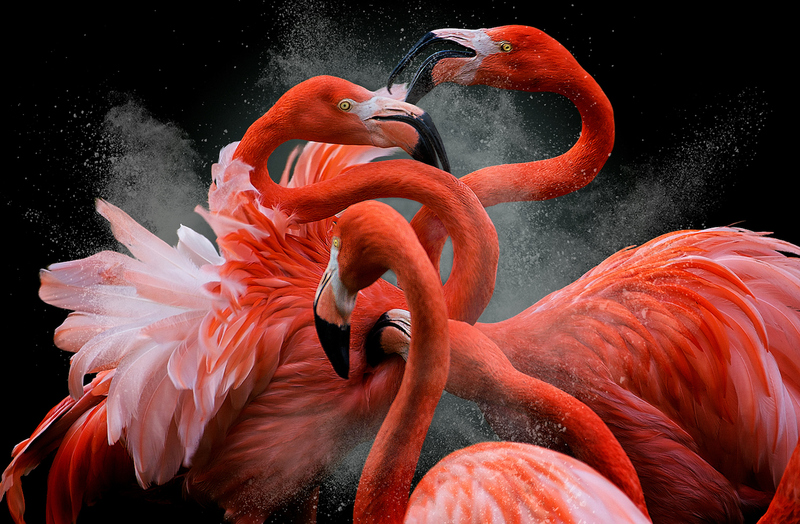 Please share them in one of our galleries. Read how.